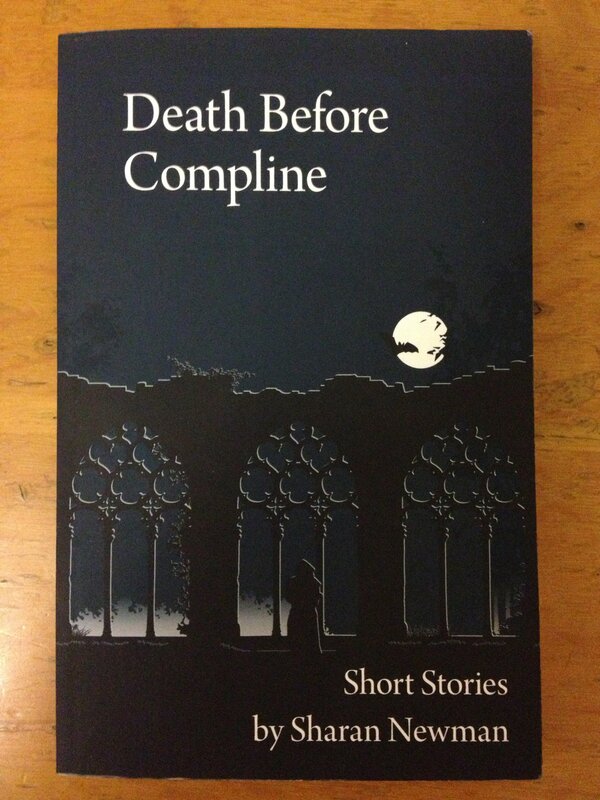 This short book, DEATH BEFORE COMPLINE is a great collection of murder-mystery stories by Sharan Newman. It features the adventures of Sharan’s popular and much loved heroine, Catherine LeVendeur, a crime solving woman living in twelfth century France. The stories are chronologically ordered, starting from when Catherine was fourteen to after she is married and had two children. She continues to solve crimes that inadvertently cross her path on her travels and while Catherine finds herself in some dangerous predicaments, she always manages to capture the culprit every time. She is an intelligent, witty and charming character. Many medieval mysteries feature male protagonists so it’s nice to see a strong, female character as the main focus. The stories also contain another prominent character, Solomon the Jew. Solomon is featured in several stories and solves a few crimes. Although Catherine’s stories are fun to read, I really enjoyed the ones that featured Solomon. The Jewish perspective on life in Paris during the Middle Ages was a fresh angle. Like Catherine, Solomon offers a different viewpoint since most medieval sleuth stories are told from a Christian perspective. The stories aren’t heavy handed or too complicated to follow and the plot moves along at a speedy pace. Catherine is an interesting character and you don’t need to have read the novels that precede this collection in order to enjoy the story lines. Sharan kindly provides a brief introduction to the series for those new to her writing. Also included are some medieval recipes at the end of the book for those aspiring to make medieval fare or try their hand at candle making! This is a nice, light read for those looking for a little bit of historical fiction on the fly. If you’re into medieval mysteries, or historical fiction, you will enjoy this collection. I also had the opportunity to interview Sharan about the collection. 1.) These were stories your readers requested – sort of an additional “fan fiction” – how did you go about selecting the requests? I must not have been clear. These stories were all requested, but by anthology editors. Some had themes; others just wanted stories from the series. That is a good, idea, though. Anyone who has stayed loyal through the series deserves a say. 2.) You mentioned in the introduction that you really liked writing about Solomon. He is a fascinating character and offers the reader a glimpse into the Jewish perspective of the time period; do you foresee creating a series devoted to his adventures in twelfth century Paris? I did write a book with Solomon as the main character, The Outcast Dove . It’s still my favorite. Once I finish my current non-fiction, I may make him a focal character in a novel that is developing from the research on Crusader Jerusalem. 3.) Do you feel this series with Catharine is resolved, or could you potentially return to her in future books? My editor and I are committed to doing at least two more books in the series, but we are hoping to use this collection to attract new readers, along with e-books. By the way, by early March the series will be available on e-books everywhere in the British Commonwealth. Little Brown bought both e- and print rights. 4.) What other projects are you working on for 2013? Well, I’m planning to try vegetables on my patio. I miss real tomatoes since I downsized. On the writing front, I am deep into a book on the early years of the Crusader States (1100-1160) This is from the point of view of the people already there and the children of the first Crusaders. The focus will be Melisende, the half-Armenian, half-French queen of Jerusalem, and her three sisters. The sources are few, but they really haven’t been mined for hints about the lives of non-combatants. That’s due at the end of June. Then I may segue into a novel. I miss writing dialogue. 5.) What was your favourite story to write? Short Stories are very difficult for me. It’s a different skill. However, I think “Conventual Spirit”. It is set before the series begins, while Catherine is still a student at the Paraclete. And nobody dies. 6.) How did you come to writing about the Middle Ages? I’ve been a medievalist since my junior year of college. This is what I know. And I love it that I can get paid for doing something I’m already passionate about. 7.) We are also writing up an article about Bagwyn Books. Can you tell us why you decided to go with this publisher? I have long felt that I should do something to support medieval studies in general. This is an area that is considered more and more irrelevant even in the university (although current events indicate otherwise to me) At a Medieval Academy meeting, Robert Bjork of the Arizona Medieval and Renaissance Sudies press, asked if I had anything they could use to launch the new imprint. I was delighted to offer this collection. I hope that Bagwyn will start a trend of publishing medieval and Renaissance fiction that is as accurate as it is compelling and well written.